In the thirty years since the artist L S Lowry’s death several items have come into the public domain – including collections of private letters, now housed in the archives of The Lowry, the millennium arts centre on the banks of the Irwell, which were made available to the author. Extracts from these will be included in her new biography to give added insight to the man. 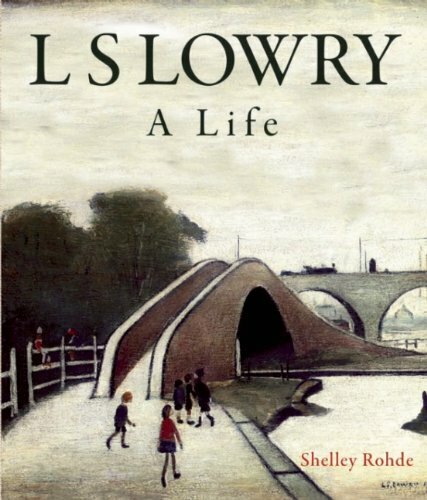 Shelley Rohde first met L S Lowry when she was working for the Daily Mail. Subsequently she made with Granada Television the award-winning documentary L S Lowry: A Private View. She talked to Lowry several times before he died in 1976, at the age of eighty-eight, and became, in her words: ‘an intemperate admirer of both the man and the artist’.